The importance of a powerful media player can be well understood by movie freaks who wish to enjoy their favourite videos in best quality. Majority of videos over Internet are available in MP4 format and thus MP4 players are the most commonly used players. Windows as well as Mac system have their installed default media players, but a large numbers of people go for third party MP4 player, owing to their user friendly interface, additional features and excellent performance. So if you are in search for a good quality MP4 player for Mac or MP4 player for Windows too, the roundup of top 10 MP4 players for Windows 10/8.1/7 and Mac here can do you a great favor. Though Windows Media Player is the default player for the Windows system and also support MP4 playback, it sometimes can't play some MP4 well, many people are still looking for the alternatives. These third party MP4 players for Windows offer users to enjoy high quality videos with practical features and good quality performance. Based on reviews/votes from geeks, playback test and feedback from users, we conclude the following 5 programs as the best MP4 players for Windows 10/8/7. VLC is one of the most popular MP4 players that is flexible, stable and lightweight. VLC Media player can play audio, videos, CD, VCD and DVD’s. In addition to MP4, many other formats are supported by the player from MPEG to FLV, WebM, RMBV files and others. The player is capable of directly playing MP4 encoded with MPEG-4 and H.264 of Windows system without any need for installing third party codec. The player is standalone program that can also play BluRay and HD videos. The interface of the player is free from any spyware and ads so as to offer great experience to the users. Additional features of VLC Media player include hotkey support, integration with web channel streaming, converting video files and ripping DVD/Blu-ray/CD to different formats. KMPlayer is another name in the list of top MP4 player for Windows. The player supports a long list of file formats including WMV, AVI, MKV, FLV, MP4 and others. 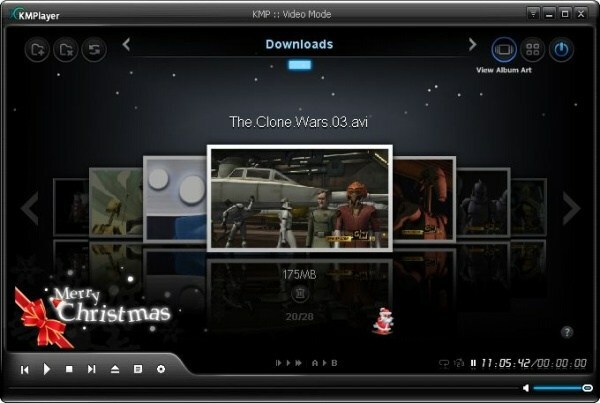 The internal codec of KMPlayer helps you in playing video files without using any separate codec. 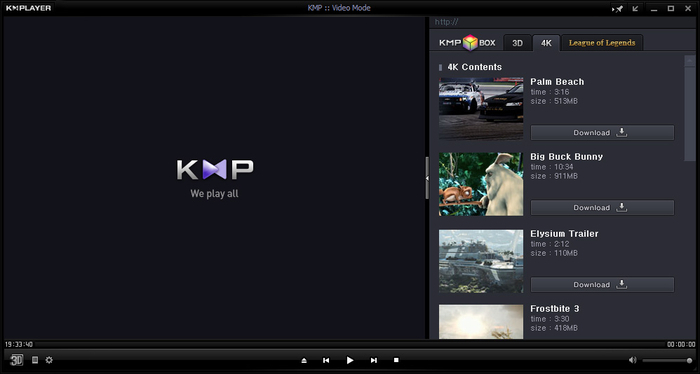 KMPlayer also supports an array of languages like Spanish, German, English, French and others. In addition to normal videos, the player is capable of supporting 3D and 4K UHD videos. Videos, audio and screenshots can be captured using the software and it also helps to manage subtitles. KMPlayer can play the audio files in different formats and it also allows online sharing of music and videos with dear ones using Cloud feature. One of the top names in the list of MP4 player for Windows is 5K Player that can be considered as the combination of HD videos player, online video downloader, Airplay media streamer and music player. In addition to excellent quality MP4 videos with great sound quality, the player supports many other formats including AVI, WMV, ASF, FLV, H.264, WebM, 1080p HD videos, HEVC, FLV, EVO and others. The player is lightweight and features elegant design. The player does not have any virus, adware and spyware and this makes it clean and easy to use. 5K Player can also download videos from various videos sharing sites like Dailymotion, YouTube, Facebook, Vimeo and others. The player can very well understand MP3, AAC, WMA, FLAC, ALAC and AC3 audio files. Real Player, is a decent MP4 player that is compatible of working with Windows, Linux, Mac OS X, Android and Windows smartphone. Some of the popular formats supported by the player include MP4, AVI, MOV, FLV, RM, MP3, AAC, M4A and others. Support to additional formats can be done using plug-ins. The player can download the videos as well as bookmark from a huge collection with just a click. RealPlayer also facilitates downloading videos from various sites like YouTube , Vimeo and others and can also convert them to other needed formats that are supported by Smartphone, iPhone, iPod, iPad, PS3 and others devices . 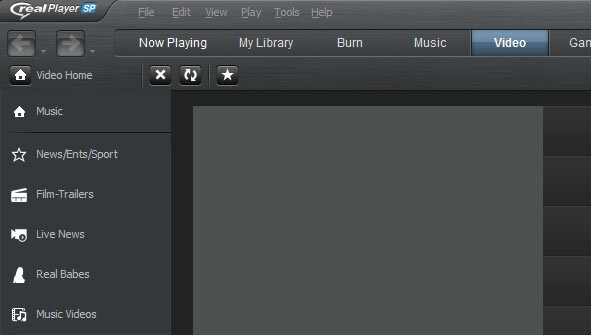 Real player allows to burn music to CD and can also edit the videos. BS Player, this MP4 player for Windows can support playing videos and audio in various formats including MP4, AAC, AVI, MKV, VOB, AC3, WMA and others. The player features low CPU cost so that you can enjoy good quality videos even with system that is less capable. The player allows users to enjoy watching their favorite HD DVD as well as AVCHD movies in good quality. YouTube music can be directly played and can also be saved to a local disk using the player. The subtitle feature of the player allows users to enjoy videos with subtitle in different formats. If the subtitles of the current video are missing, BS Player will automatically search and download the same. Mac systems are known for their excellent quality audio as well as video playing capabilities. The installation of third party MP4 player will definitely enhance the overall videos watching experience of the users. Market is packed with different MP4 players for Mac and the main problem is to search for the best ones. Thus to make your search a little simpler, we have shortlisted the top 5 MP4 players for Mac including OS X El Captain. 5K Player for Mac is a free player that supports playing videos in multiple format including MKV, M2TS, MOV, MP4, M4V, AVI, FLV and others. The player is capable of playing movies as well as videos smoothly, thanks to its support to multiple video and audio codecs. 5K Player for Mac can also play 1080pHD/4k UHD and SD 720p videos. It also works as a decent online downloader that allows downloading videos from more than 300 sites in different formats. Radios can be enjoyed for free using the player. 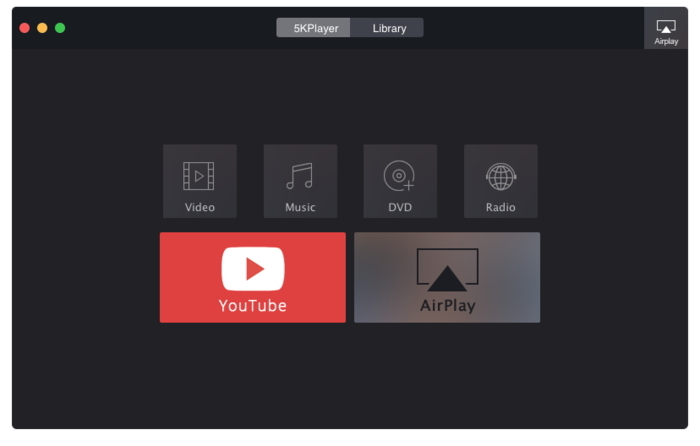 5K Player supports AirPlay feature to stream music videos and can also mirror their iOS devices to Mac with AirPlay mirroring. 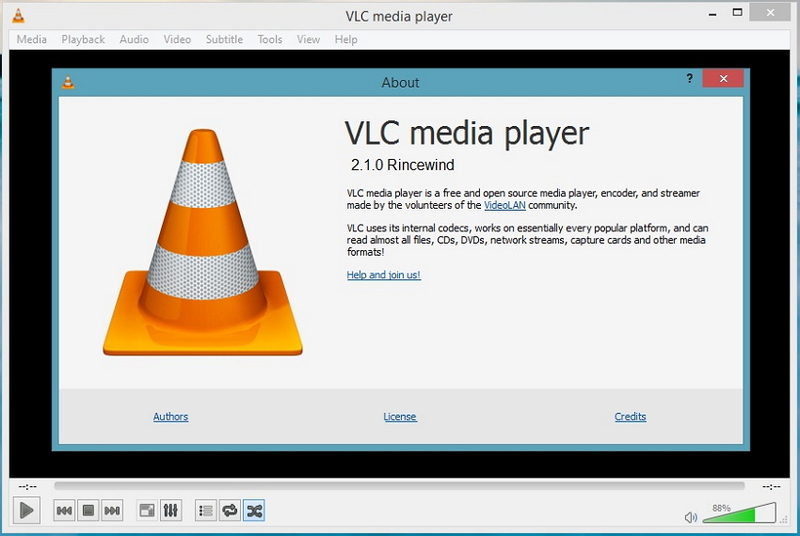 VLC Media Player for Mac is a free and open source platform that is capable of working with Windows, Linux, Android and other platforms in addition to the Mac. The player can play media files, Audio CDs. DVDs and VCDs. All types of formats are supported by the player including popular names like AVI, MP4, QuickTine, DVD ISO, MPEG and others. Encrypted DVDs can also be played using VLC Media Player. VLC is a lightweight player that can stream online videos, play stubborn media files and add subtitles. 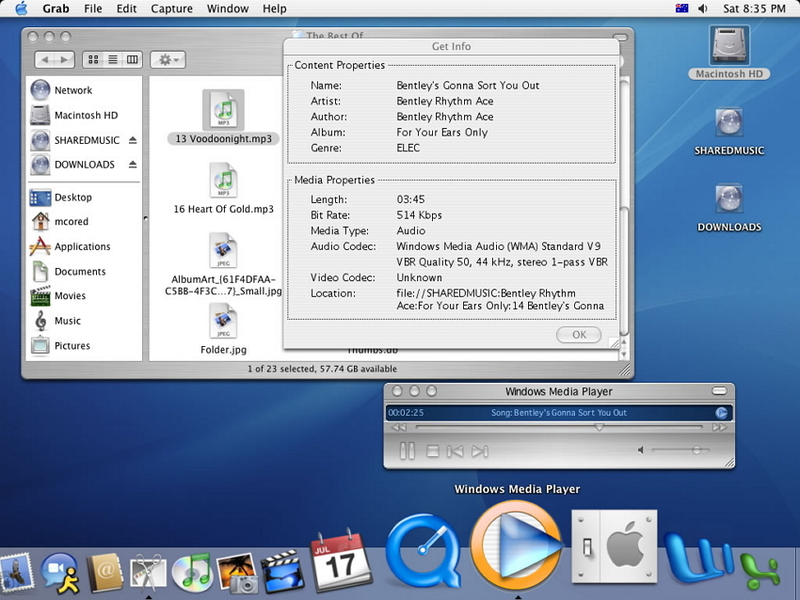 Though Windows Media Player is the naive player for Windows system, it also has its version for the Mac devices. The list of formats supported by the player includes all the common and popular names like MP4, WMV and AVI files. The player can also work well with H.264 and H.265 codecs. The interface of the player is adjusted in a manner so that no difficulty is faced by the users. The player has buttons for Play, Pause and forward and volume of the videos can be adjusted from the interface itself. KMPlayer for Mac is an all-in-one media player for Mac supporting variety of formats including MP4, MP3, WAV, AVI, OGG and others. The player does not support H.264 and H.265 codecs and thus users cannot play 1080p UHD or 4K movies using this player. Other features offered by the player include settings of language, screen setting with options of color setting and screen rotation, creating playlist by selected files and playback setting with play speed. 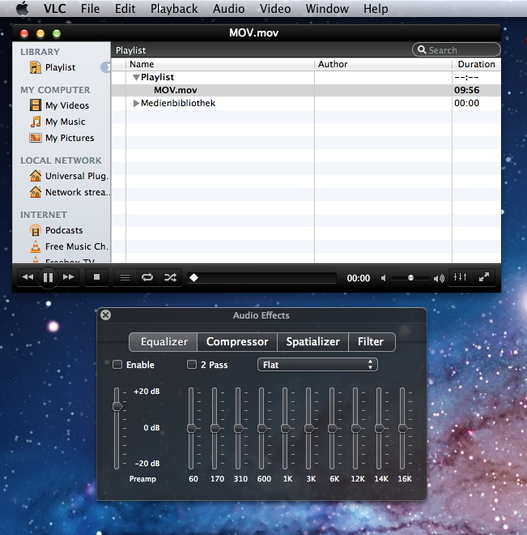 MPlayerX for Mac is a decent MP4 player for Mac that is simple to use and flexible. 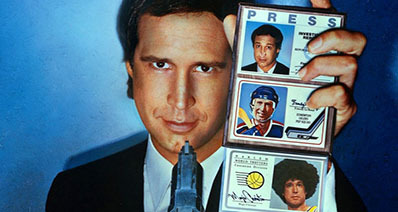 The player is capable of playing almost all file formats. The player features FFmpeg and Mplayer that makes it capable of playing any file without using additional codec packs or plug-ins. 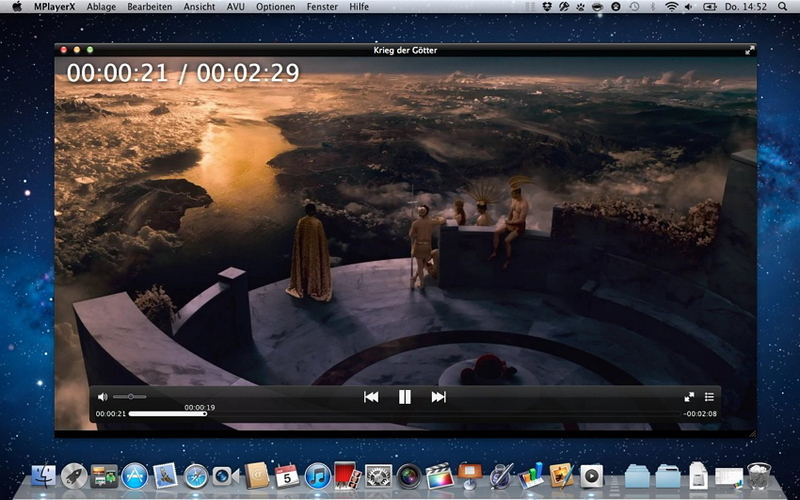 Designed keeping the Mac system in mind, MPlayerX features full screen mode, support Apple Remotes, follow gestures and can change the size of the subtitle. The player is light on resources and can pick up form the point where you last stopped the video. Now select any one of the above given player as per requirements and play MP4 files in excellent quality.